New renderings depict a slender stone and glass building by Davis Brody Bond that will saddle up next to structures by Heatherwick, DS+R, and KPF. New Yorkers now have a more complete idea of what Manhattan’s Hudson Yards will look like: New renderings depict a slender stone and glass building from New York’s Davis Brody Bond that will saddle up next to structures by Thomas Heatherwick, Diller Scofidio + Renfro, and KPF. 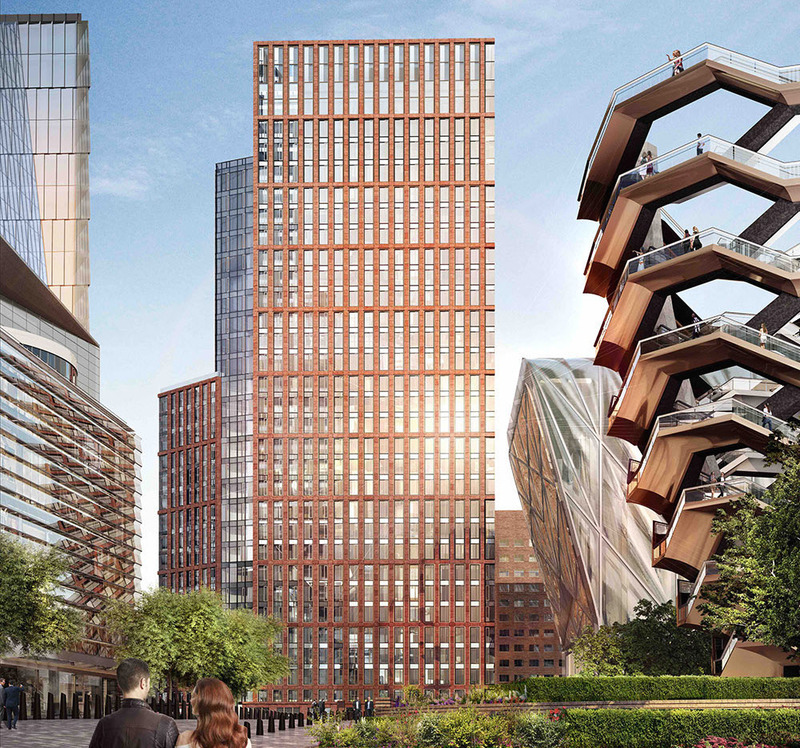 One Hudson Yards, located near Heatherwick’s Vessel and DS+R’s performing arts center, the Shed, will rise 33 floors and include 178 apartments. These will range in size from one to three bedrooms and will sport ten-foot ceilings. In addition to this, a press release states that the amenities suite, designed by Manhattan-based architect Andre Kikoski, will feature an 82-foot pool, spa, and fitness center curated by gym chain Equinox, plus a bowling alley, game lounge, half-court basketball court, penthouse lounge, entertaining room, terrace, and children’s playroom. Leasing is due to begin this summer. 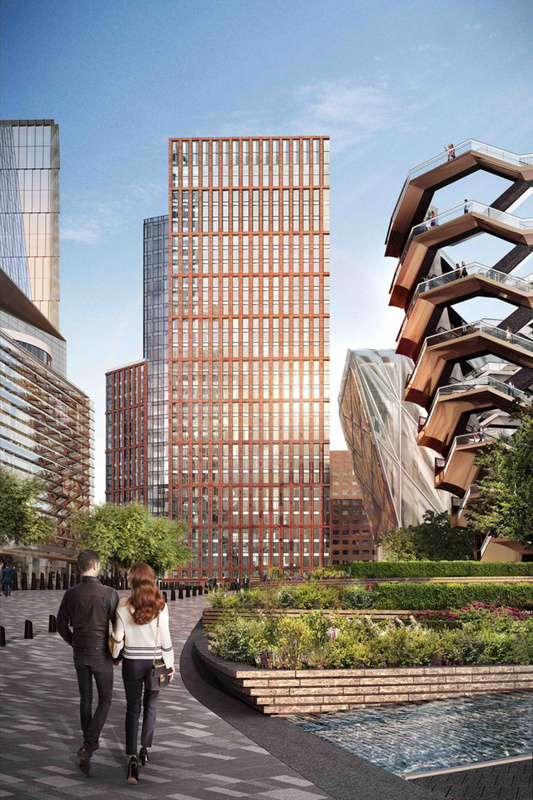 To find out more of what is going on (or rather up) at Hudson Yards, see The Architect’s Newspaper’s prior coverage of the 18-million-square-foot development.